12 authentic and delicious pasta recipes the whole family will love. 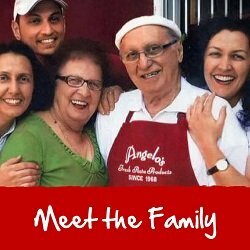 Angelo’s Fresh Pasta Products is a family owned company that has been producing authentic quality pasta in Brisbane since 1968. In Italy, eating quality pasta is a way of life. At Angelo’s we have the same belief, using only the freshest and finest of ingredients, the best quality Durum Semolina and farm fresh eggs in all of our products. Producing Queensland’s finest commercial supply of pasta has earned Angelo’s a reputation as the preferred brand of pasta amongst chefs and consumers alike. Recognising the quality and consistency of its pasta products, Angelo’s has won numerous prestigious food awards since 1999 including the Sydney Royal Fine Food Show Awards and the Royal Melbourne Fine Food Awards. However our most precious awards come from customer feedback and the continued support for our products. After more than 40 years of production, Angelo’s now supplies an extensive range of pasta to the retail and wholesale market ranging from fresh and dry pasta to frozen take home products. Commercial customers are serviced throughout Queensland and NSW through major food service distributors. Does your local grocer stock Angelo’s? If they don’t, Ask for Angelo’s! Retailers can give us a call on 32522482 and we will talk to them about stocking Angelo’s. 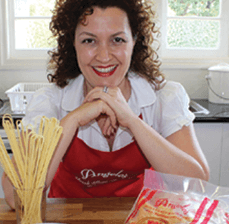 Consumers are welcome to visit our factory shop in Fortitude Valley, Brisbane to select from our range of dry, frozen and fresh pasta, famous lasagne and pasta cooking products. Come join Donna, Angelo’s daughter, and learn how to make pasta the authentic Italian way. 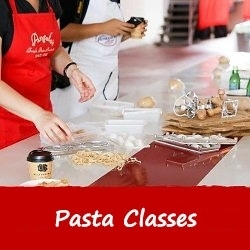 We offer hands on pasta classes where you will learn the secrets of home made pasta, how to use a pasta machine and how to make different cuts of pasta. Want to raise money for your charity, group, school or club by running an Angelo’s Pasta Drive? An Angelo’s Pasta Drive is a healthy and delicious alternative to the pie or chocolate drive. Call us today on 3252 2482 to find out more. 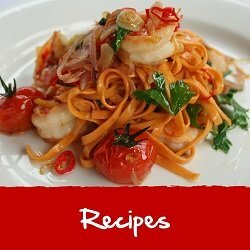 Click to see Pasta Tips, Recipe & Heaps More!